Various laws apply to transfers of assets into and out of the United States as well as other countries. Therefore, it is important to understand the ways in which assets can legitimately be used and transferred to increase net worth. In this situation, a qualified lawyer can provide needed guidance as costs and penalties for non-compliance are significant, and sometimes astounding. At Palmer Law Group LLC, we represent successful entrepreneurs, business owners, CPAs, attorneys and others who are seeking customized solutions for sophisticated problems involving inbound and outbound transfers. 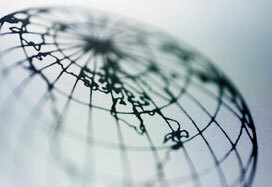 We have 30 years of legal experience involving international tax matters. Based in Frederick, Maryland, and Northfield, Illinois, we serve individuals located throughout and outside the United States. There are tax-advantaged jurisdictions in which assets can grow on a tax-deferred basis. If these assets are used for personal consumption by a U.S. citizen, they will generally be subject to tax. However, in appropriate and lawful situations people can legitimately cause assets located outside the United States to increase substantially in value, creating a benefit for current and future generations. Our firm's clients, many referred by existing satisfied clients, span the globe. While we represent individuals throughout the United States, many of the people we work with are in the Middle East, Far East, the Caribbean, Europe and other parts of the world. Regardless of your physical location, we will work with your CPA, attorneys, and other professionals to create a customized solution that will help you meet your business and personal needs. Our founding lawyer, L. Guy Palmer, previously worked as a Revenue Agent and Instructor for the Internal Revenue Service. He uses his detailed knowledge of accounting and the intricate IRS Code to develop sophisticated tax solutions for our clients. For creative solutions regarding your foreign and domestic tax issues, contact our office online or call us at 301-695-0700 or 800-732-7907. We offer initial consultations, generally done over the telephone.